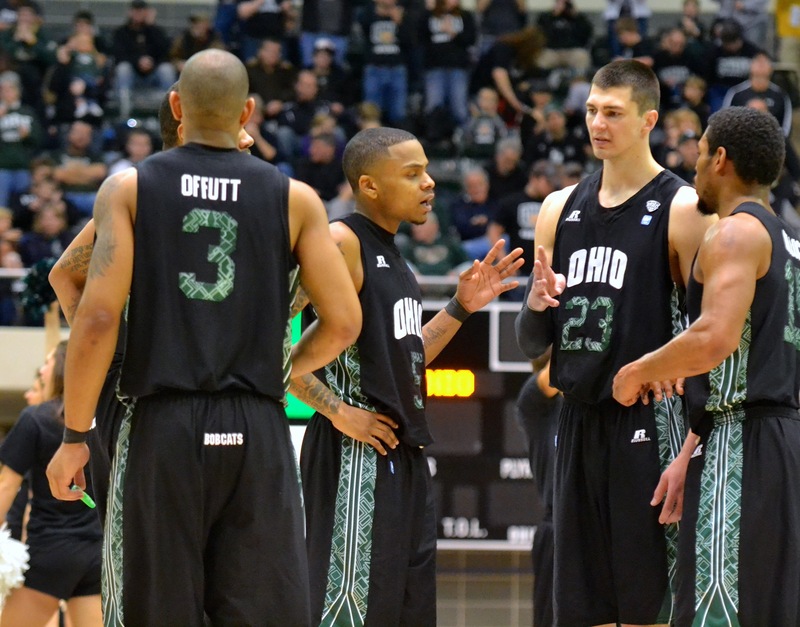 For whatever reason, the final days of this Ohio basketball team has been on my mind a lot lately. The sense of impending finale has, for all the talk that sports journalists are supposed to flush all rooting interests the minute they step into the working world, maintained its hold on me. It begins with the downside to the so-called Athens bubble. Once you’re outside of it, you can’t get back in. perks to post-graduation life. You have more freedom, and the financial ability, to explore, to find your place outside the bubble. In all honestly, if given the opportunity to go back to school for another year – oh, the blasphemy – I don’t think I’d take it. You change, move on, find new priorities. The farther you go, the fewer connections you retain. Still, that doesn’t mean you stop trying. You still keep the green-and-white part of your wardrobe ready to go for special occasions, retain your soft spot for beers in the afternoon. The aquarium that may-or-may-not have been illegally obtained from The Pub may be repurposed as a cereal bowl, but its nostalgic powers remain intact. Such little things help keep the ties bonded. I think that’s part of it: The loosening of another thread. One of the overlooked side effects of graduation is how many previously taken for granted background details get wiped away. That constantly visiting neighbor you know only by their nickname, your darts partner every Friday at Tony’s – they drop off the periphery of your life, never to be heard from again. And so you cling to the connections you can maintain, making the effort to make a regular phone call to keep in touch or attempting to concoct homemade Big Mammas Burritos (an experiment I’d advise against). For me, a major part of that connection has been this basketball team. Since my first visit to Athens, the sight of the gleaming dome of the Convo around the bend has been a welcome home. Before I really found my place on campus, prior to becoming an enmeshed part of the Sargent Hall second floor, I was an OZone member. And it wasn’t just on basketball fans like myself that this group of Bobcats left its mark. They provided a series of bookmarks – Georgetown, Michigan, North Carolina, Akron a bunch of times – an Ohio U timeline. Even if none of those would make your list of favorite nights in Athens, a couple probably made the greatest hits. They were more memories to bond the campus, some of the few that touched us all. The fickle nature of postseason basketball doesn’t allow you to brace for the farewell. At least for graduation, you had time to prepare. Senior year provides a series of warning signs: Last winter quarter final, last Palmer Fest, etc. Ohio’s season could end tonight, it could gloriously drag out a few weekends, maybe even into April. That’s likely an issue, too. There will be another Bobcats basketball team, starting next year, as a matter of fact, and they will also function as a touchstone. But none – no team, in any sport, really – will replicate the level of connection. If your college years are your true coming of age, I grew up with this team. Armon Bassett’s glorious, incomparable March came as I found my footing on campus. Last season’s crowning achievement, the Sweet 16 run, aligned with the finest of my 23 years. Regardless of when Bobcat fans have to say goodbye to D.J., Walt, Ivo and Reggie, it won’t change much. Their status as the greatest hoops class in Ohio history isn’t going to change and, barring Cooper unveiling a Buckeyes tattoo and claiming that his heart lies in Columbus, they’ll forever be my favorite team. Life will go on, springtime in Athens will still represent the closest humanity has come to perfection since the fall of Rome. In many ways, it’s a necessary step. The loss of so many connections is a personal tragedy, but it forces you to cherish the ones you keep. You to keep moving, to get on with life, achieve your goals. But, damn, if it wouldn’t be great to see these guys – my guys – do it one more time. Former Speakeasy sports editor Matt Pentz is now a writer at the (Longview, Wa.) Daily News, spreading Bobcat cheer to the Pacific Northwest.